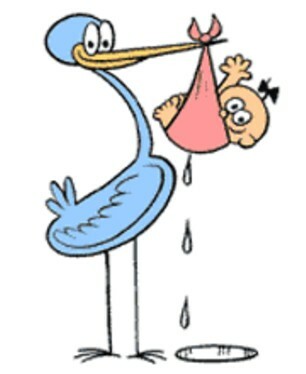 After a little delay, our good friend, A Simple Jew's wife gave birth to a baby girl yesterday. Read all about it here! Mazel Tov to him and his family, may they have much nachas from all of their children! Tonight and tomorrow, the 3rd of Sivan, is the yahrzeit of my father's sister, my dear Aunt Norma, who passed away 16 years ago. She was never married, and was deeply attached to her nephews - my brother and I, and my cousins. She was always very warm and loving to us, and treated us very kindly. After beginning her musical career working for Angel Records, a company that dealt mainly with classical music, she later moved from Manhattan to Long Island, where she ran an antique store, "The Blue Door." 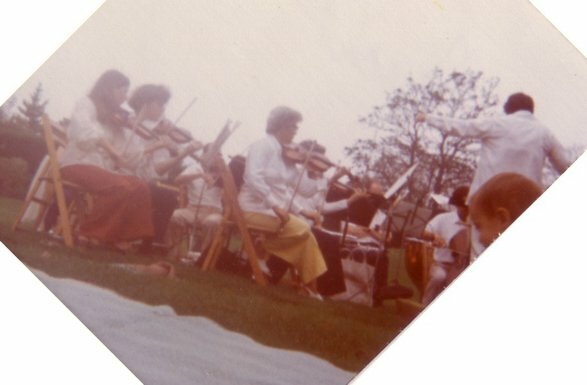 But her love for music never ceased, and she went on to become an amateur conductor of classical music, one of the first women in America to do so. 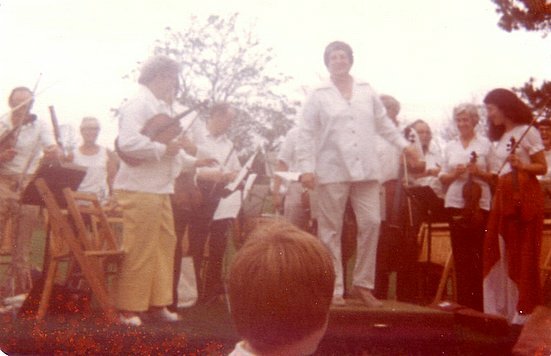 The pictures above, which are quite old, are scans of pictures taken at an outdoor concert she gave on Long Island which I was privileged to attend. May her memory be for a blessing - Tehi zichra baruch! YERUSHALAYIM, WE CAN NEVER FORGET YOU! He will answer, ‘I am thinking of Yerushalayim. [If I forget you, Yerushalayim, let my right hand be forgotten!]. NOTE: This is in honor of Yom Yerushalayim, which begins tonight. I'll try to post some links to niggunim, time permitting! "Hashem wants you to sing, and He opens the mouth and He sings the song. You are just the pipe. When you know this point, it's not dangerous for you. You are not confused. You do not become crazy with drugs and Jimi Hendrix and blah. Because you know that you are nothing." "Every man has a song that must be taken from him. Everyone's got a song that's theirs. Their souls are only able to approach G-d through their specific song. Only songs will give them the openness of the mind [through which] they can see the world. There's less opposition to a song than to a lecture. Music with good words, it can change the mind of the man. To write a song to Hashem, this is my job in the world. I feel it." The interview is summarized here. You can also listen to the full interview here. Like High Voltage, sometimes a Niggun can be dangerous. See below. Tuesday night and Wednesday, the 26th of Iyar, is the 118th yahrzeit of Rebbe Shmuel of Zvolin, son of Rebbe Yechezkel of Kuzmir, and father of the first Modzitzer Rebbe, the Divrei Yisrael. Upon the passing of Rebbe Yechezkel [Chatzkaleh] of Kuzmir Zt"l, his son Rebbe Shmuel Eliyahu was called upon to lead the Chassidim. Rebbe Shmuel Eliyahu lived in Zvolin, Poland. From his youth, he was outstanding in his Torah scholarship and his musical abilities. He was called a "Menagen mafli pla'os", a wondrous musical talent. When he davened before the amud in his father's Beis Medrash, the place shook. People then said that they experienced the meaning of "and the entire nation saw the sounds" [a description in the Torah to describe the giving of the Torah]. 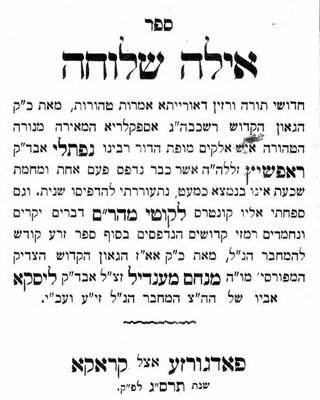 The Zvoliner Rebbe composed many niggunim, especially for Shabbos and Yom Tov that were known throughout Poland and attracted many people. 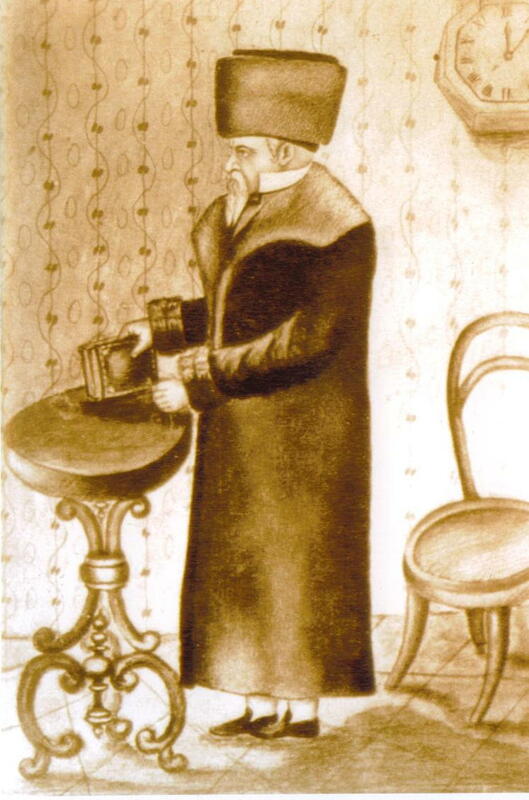 He was the first of the Polish Tzaddikim to concentrate his creative powers in negina. With his awesome memory, he was able to remember everything he composed. His attitude towards Negina was as if the singer were standing in the Beis HaMikdash, and the Leviim were accompanying him in the shira v'zimra. He passed away on the 26 of Iyar 5648 [May 8, 1888], leaving behind five sons: Rebbe Moshe Aharon, who succeeded him in Zvolin; Rebbe Yisrael of Modzitz; Rebbe Yaakov of Radom. 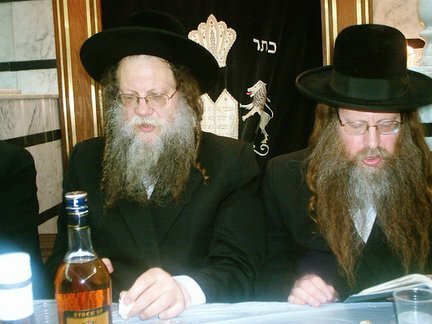 The other two sons, R. Ovadia and R. Chaim Binyamin, did not have a Chassidic following. Rebbe Shmuel Eliyahu’s yahrzeit is on the sefira of Yesod sheb’Yesod, the ultimate in Foundation. Yesod is also the ‘trademark’ of the Tzaddik, as it is identified with Yosef HaTzaddik, the sixth of the seven Holy Shepherds; as the verse says, “Tzaddik yesod olam – the tzaddik is the foundation of the world” [Mishlei/Proverbs, 10:25]. One of my favorite expressions of the Zvoliner also relates to Yesod. Our Sages tell us that “Kol has’chalos kashos,” which usually translates as, “All beginnings are difficult.” However, the Zvoliner interprets it that all beginnings must be solid and strong. Just like the yesod [foundation] of a building, which is made of strong stones or concrete, is the means by which the building which is built upon it can be stable, sturdy and strong; and if the foundation is wobbly, everything can fall. So it is in our avodas Hashem [Divine service]. This denotes the importance of Rosh Hashana, the New Year; and Rosh Chodesh, the beginning of each month at the New Moon. Finally, Rebbe Shmuel Eliyahu’s attitude towards Negina has puzzled many people. I would like to offer a possible means for understanding it, with the following preface, to be followed by the Rebbe’s own words. 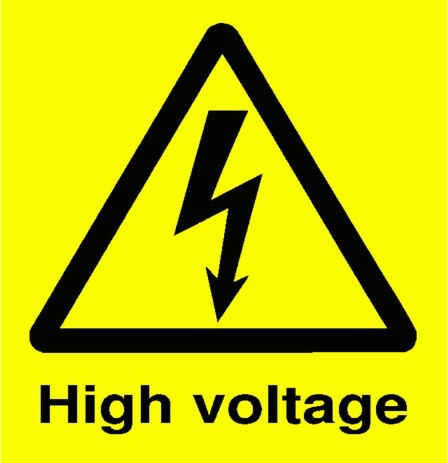 Everything that is lofty contains a danger of harming someone if it is misused. In the physical realm, we can see this with fire, which can give light and warmth, but can also destroy whole buildings and even towns. We know that the Chassidic movement was faced with fierce opposition at its outset, led by the Vilna Gaon and others. A few generations later, the author of the “Aruch HaShulchan,” R. Yechiel M. Epstein, paid a visit to the Tzemach Tzedek, the third Lubavitcher Rebbe. He noted that the Rebbe was learning Shulchan Aruch with the commentary of the Vilna Gaon. Although Rebbe Shmuel Eliyahu of Zvolin was a “wondrous musical talent” and composed many niggunim, it wasn’t before long that he stopped davening before the Amud [leading the prayers], to the dismay of the Chassidim. Precisely because he understood the value of niggun, he refrained from singing. “Let us discuss the praise of Negina. Many worlds are found in the Heichal HaNegina. There are niggunim of joy, ecstasy, dveykus, victory, and thanksgiving. On the other hand, there are niggunim of crying and of longing. On the opposite side there are secular songs which can lead one to a path of evil. The matter of Negina is therefore very serious, requiring much effort and caution. The first letters of the verse, “Heitivu nagein b’Terua [Tehillim, 33:3] – express it in music, with deep inner emotion,” spell the word “Bina”, understanding. The intention is that one who sings should not suffice with the fact that he sings well, even if he has an excellent voice and other qualifications for being a proper baal tefilla. He must understand how to sing to cause nachas ruach [satisfaction] on High. Just like ‘life and death are in the tongue [speech]’, so it is that the rise and descent of the soul depend on the Niggun. It all depends of the menagen [the singer or instrumentalist] - what he plays and how he plays it. A niggun can bring one up on its wings to the highest heights, together with the Songs of the Angels, if sung with a pure heart, a spiritual intent, and without alterior motives. On the other hand, [chas v'shalom] a niggun can bring one down to Sheol Tachtis - the Depths. Many troubles and punishments come to us because of ruining a niggun. One can say that a Niggun is the source of everything. Therefore, there is a tremendous responsibility on the Menagen and he should prepare and purify himself thoroughly. In addition, one should not deviate one whit from the niggun, for one can be in violation of not adding or detracting [bal tosef / bal tigra]. A niggun consists of a combination of sounds, and each niggun has a soul which the menagen-composer has infused into it. Like any living thing, a niggun has youth and old age. Therefore, whoever takes away a note [or section] from a niggun is as if he caused a wound to the body, and whoever adds to it is as if he has added to the 248 limbs of the body. Thus the responsibility for a niggun’s completeness is great and one should not treat this lightly, for a niggun is like any living creature of substance. You can imagine the awesome effect these words had. In fact, many of the baalei tefilla who heard them voluntarily withdrew from their positions. After this, there was a dramatic improvement in the appreciation for musical notation amongst Chassidim, who viewed it as a form of protecting the niggun from distortion or changes. However, the Zvoliner's withdrawal from singing and davening before the Amud was not adopted by his descendants. 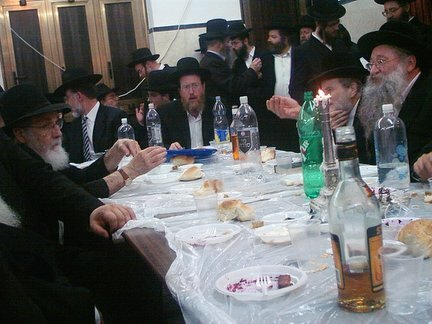 In fact, the Chassidus of Modzitz became world-renowned for its service to Hashem through Negina. To this day, thousands of niggunim have been notated, recorded and preserved via Modzitz and its Machon L’Negina. Zechuso yagein Aleinu v’al Kol Yisrael! Today is the 20th of Iyar, yahrzeit of Rebbe Mordechai of Chernobyl, son of the first Rebbe, R. Menachem Nachum. He was also the father of “the eight candles of the Menora,” his eight sons, all of whom became Rebbes in their own right: Rebbe Aharon of Chernobyl, Rebbe Moshe of Karistachov, Rebbe Yaakov Yisrael of Cherkasse [grandfather of Rebbe Mordechai Dov of Hornesteipel], Rebbe Nachum of Mekarov, Rebbe Avraham of Trisk, Rebbe David of Tolna, Rebbe Yitzchak of Skver, and Rebbe Yochanan of Rachmistrivka. Most of his writings can be found in his sefer, Likkutei Torah. 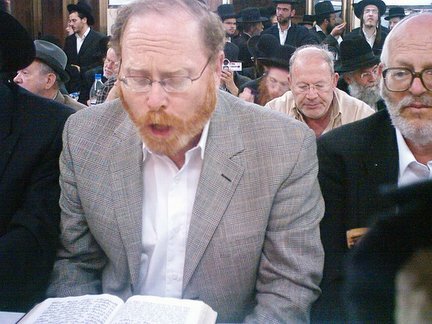 Rebbe Yitzchak of Skver used to sing the Zemer, “Bar Yochai,” on his father Rebbe Mordechai’s yahrzeit. He explained this by saying that his father had the neshama [soul] of Rabbi Shimon bar Yochai. Rebbe Mordechai’s grandson, R. Yeshaya Meshulam Zusia, son of Rebbe Aharon of Chernobyl, became blind. Those who heard of it told him that there is a segula for disease of the eyes – to travel to the grave of Rabbi Elazar, the son of Rabbi Shimon bar Yochai, in Meron, and pray there. He approached his father, Rebbe Aharon, to discuss this idea with him. Rebbe Aharon’s response was, “My grandfather, Rebbe Nachum, was like Rabbi Shimon bar Yochai in his generation. Therefore, my father Rebbe Mordechai, is like Rabbi Elazar ben R. Shimon. Go to his grave, daven there, and you will be cured.” Indeed, this is exactly what happened. 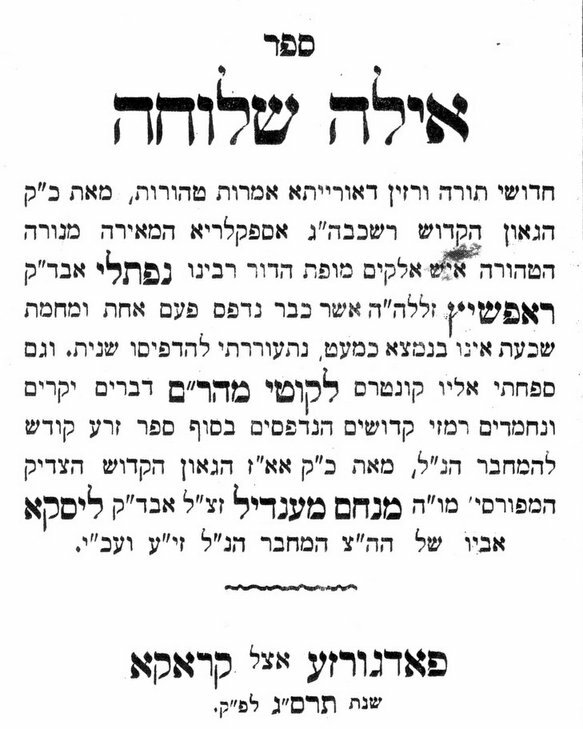 The wife of Rebbe Yisrael of Rizhin, a nephew of Rebbe Mordechai, gave birth to a boy one year on the 20th of Iyar. He named the boy Mordechai after his uncle, although the latter was still alive. 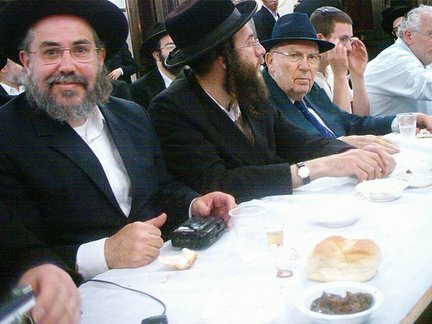 At the bris, the Rizhiner explained, “Although my holy uncle, Rebbe Mordechai, is still alive, his neshama has already ascended to the Upper Worlds many years ago.” Three years later, on the 20th of Iyar, Rebbe Mordechai passed away. * The last letters of the words, “Ki bayom hazeh yichaper [referring to the day of Yom Kippur, the Day of Atonement, which atones for one's sins] are the gematria of “rina,” vibrant song. [The ending letters are yud-mem-heh-reish, which are equal to reish-nun-heh, both equal 255]. There is a verse in Mishlei [Proverbs, 11:10] which says, “B’avod reshaim rina – when the wicked are destroyed, there is joyous song.” Rebbe Mordechai used to quote Rebbe Baruch of Medzibuzh, who explained that when an evil person is removed from the world, a new niggun is created in the world. This will be Hashem’s salvation for us, when all of the wicked ones of the world will be destroyed, and new niggunim will replace them. * When the holy souls [of the Jewish People] stand in Tefilla [prayer] morning, noon and night before their Creator, in Awe and Love of Him; by moving all of their limbs, bones and sinews, they arouse the lofty powers, as the verse says [Koheles 9:10], “All that you find in your power to do, you should do,” and [Tehillim, 68:35] “Give strength to the L-rd.” Our Sages explain [the latter verse], that the Jewish People give strength to the Heavenly Hosts on High. This is accomplished through Love and Awe [of Hashem], which are called wings. That is, the wings below arouse the wings of all the Angels and Heavenly Hosts to sing Songs and Praises to the Creator. This is called Avoda [service], as our Sages explain that Avoda sheb’lev [service of the heart] is Tefilla. * Originally, the Angels would sing a Song on High with a special niggun, and that niggun would later be sung at the Tish [table] of Tzaddikim. But now, the opposite is true: first the Tzaddikim sing a particular niggun at their Tish, and then the Angels sing a Song on High with that niggun. 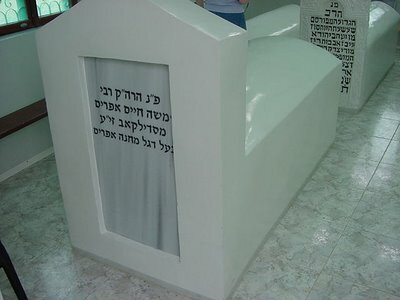 The kever of the Degel in Medzibuzh. Thanks to A Simple Jew for this pic! Our good friend, A Simple Jew traces his ancestry back to the town of Sudylkov, and hence has become increasingly close to the Degel’s teachings. His posting today is about Netzach of Hod and its relation to the Yahrzeit. and today’s quote – from the Degel – about Am Segula. Finally, there are beautiful pictures of the Shtetl of Sudylkov scattered throughout his blog, or you can find them here; while a photo essay of the Shul is here. There’s a wonderful “vort” [commentary] from the Degel that I like to think about every year around his Yahrzeit, for it ties in to the upcoming Yahrzeit celebrations for Rabbi Shimon Bar Yochai on Lag B’Omer. But first, an introduction. When the Jewish People left Egypt, the verse [Shemos 14:8] says that they did so, “b’yad Rama” – literally, with a “high hand.” While the simple meaning is “triumphantly”, the Targum of Onkelos [ancient Aramaic translation] uses the Aramaic, “b’reish gali” – literally, “with a revealed head,” but this expression is usually taken to mean “openly, publicly” and even “flamboyantly.” Something that is done “b’reish gali” is done completely out in the open, with absolutely no fear or compunction of being observed by others. However, the Degel Machaneh Efraim explains the words of Onkelos as an allusion, as follows. In the Sefer HaZohar, the Book of Jewish Mysticism transmitted by Rabbi Shimon bar Yochai, it says, “With this book [the Jewish People] will go out of exile,” meaning the revelation of the Zohar will be a step towards the Redemption. Thus our verse hints to this: the Jewish People will go out, “b’yad rama – b’reish gali.” The word “b’reish” is an abbreviation of Rabbi Shimon bar Yochai [Rashbi]. Thus when his sefer, the holy Zohar, will be revealed [“gali” means open, revealed], we will leave the exile. There is a well-known story that the Baal Shem Tov ascended to Heaven and asked Moshiach, “My master, when are you coming?” To which the latter replied, “When your Torah will be revealed, and your wellsprings flow outward.” This, too, is hinted in our verse, for the word “b’reish” is also an abbreviation for Rebbe Yisrael Baal Shem [Rivash]. So when his Torah is revealed, the Jewish People will leave the exile. Finally, the Degel also informs us that the word “b’reish” can be rearranged to spell “b’Shir,” with Song. That is, when it will be revealed that we can sing a [new] Song to Hashem, as Moshe Rabbeinu and the Jewish People did at the Reed Sea, then the Jewish People will leave the exile. This is also mentioned in the Midrash [Mechilta] on the verse we discussed above. There it says that when the Egyptians were chasing the Jewish People [in the direction of the Reed Sea], they began cursing them, whereas the Jewish People were uplifted, praising Hashem with all forms of Praise and Song, for waging war on their behalf. Similarly, the Ramban explains that “yad rama” means that the Jewish People lifted a Degel – Banner, to praise Hashem with Song, tambourines and stringed instruments, as befits a People going out from slavery to Freedom, not like slaves who are going to return to their master. Zechuso Yagein Aleinu – may the Degel’s merit indeed protect us all! TA'ARIN P'SICHIN - THE GATES ARE OPEN! Tonight we begin, in our counting of the Omer, the Sefira of Hod. The Zohar says that during this week, the "gates are open." Many Chassidim don't say Tachanun this entire week! Tonight is also Pesach Sheni, and the Yahrzeit of Rabbi Meir Baal HaNess, who is buried in Tiveria [Tiberias] and Rabbi Yehuda bar Ilai, whose resting place is just outside of Tzfas, Ir HaKodesh. As your truly is journeying North from Yerushalayim shortly, I thought I’d post some preliminary links to Lag B’Omer niggunim as well – since that is coming up very shortly too – Monday night and Tuesday. 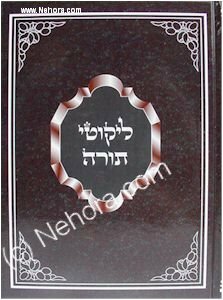 You can learn about Rabbi Shimon bar Yochai and the Zohar at this site. 22 Niggunim, which includes these artists: MBD, Diaspora Yeshiva Band, Chaim Dovid, Yisrael Dagan, Daniel Ahaviel, Akiva Margolius, Chanan Bar-Sela, Yehuda Glantz, and more. There is a wonderful story in this week's English HaModia about the Dancing on Lag B'Omer in Meron - well worth reading! More next week, im yirtzeh Hashem - G-d willing! Today is the yahrzeit of Rebbe Naftali Tzvi of Ropshitz, a talmid of the Rebbe Reb Elimelech of Lizhensk, as well as the Chozeh of Lublin, the Kozhnitzer Maggid and Rebbe Menachem Mendel of Riminov. Among his talmidim was Rebbe Chaim of Sanz. Ropshitz niggunim trickled down to later Chassidic groups, including Sanz, Bobov and Dzikov [see also below]. He was the author of Zera Kodesh and Ayala Shlucha. The journey from Egypt, where they Jews had sunk to the 49th level of Tumah [impurity], to the level of Kedusha [holiness] necessary to receive the Torah, required 49 days of preparation, which is the 49 days of Sefiras HaOmer – the Counting of the Omer. Similarly, a woman needs seven ‘clean’ days to purify herself from ritual impurity each month. Rebbe Naftali Tzvi of Ropshitz informs us that the descent into the Reed Sea on the seventh day following the Exodus from Egypt, was a form of purification that was accomplished through the singing of the Song of the Sea [Shiras HaYam]. It was through song that the forces of evil and impurity were subjugated and cleared away, so that the Jewish People could receive Kedusha, like one receives Tahara [ritual purity]. He continues, this can be compared to one who comes to immerse himself in a river during the winter, only to discover that the river is frozen over. He cannot immerse himself and attain purity unless he breaks through the ice that covers the waters. One who leads the prayers with Song and Praise with a pleasant voice and with joy and exultation, cuts down and removes all of the barriers that are in the way, so the prayers ascend on High. 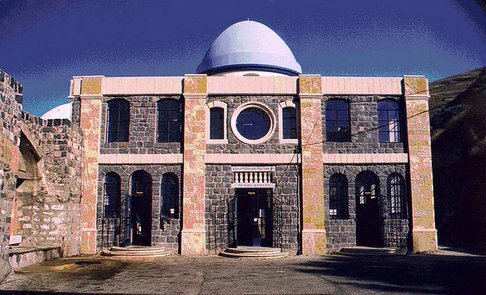 Rebbe Naftali Tzvi of Ropshitz proclaimed that the Heichal HaNegina (the heavenly Mansion of Melody) was next to the Heichal HaTeshuva (the heavenly Mansion of Return or "Repentance"), and the person who did not jump from the former into the latter was an absolute fool because the doors were interconnected. Regarding this statement, the Divrei Yisrael [of Modzitz] added: "Everybody says that the Heichal HaNegina is next to the Heichal HaTeshuva. But I say that the Heichal HaNegina itself is the Heichal HaTeshuva" [Found in sefer Imrei Shaul , p. 309]. What is a Chassid? Someone who possesses a precious key, a key that opens all the doors, even those that G-d keeps closed. And the key is the niggun, the song of joy that makes our hearts thrill. The niggun opens the gates of heaven. Melancholy closes them. On Time to Dance, Vol. 1, by Yisrael Lamm, track 5 is also a Ropshitz waltz. UPDATE! And how could I forget – Ah Rebbish – a collection of joyful dance tunes from the Ropshitz, Dzikov and Bobov Chassidic courts. Niggunim from Hakafos [Simchas Torah dancing], weddings and other joyous occasions. Unfortunately, the only link for it I found, Eichlers, indicates that it’s out of stock. Interesting post, check out the Comments, too! A brief intro from Yitz: Reb Shlomo Carlebach had an intense love for every Jew, and for the Land of Israel. Whenever a war broke out in Israel, he was on the first plane to Israel – to encourage and entertain the troops. And when he picked up and moved his ‘House of Love and Prayer’ from San Francisco to Jerusalem, many of his followers – the ‘Holy Hippelach’ as he called them – followed him. 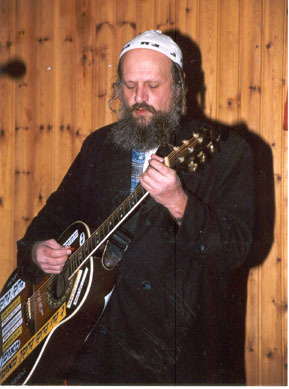 Many of those who came had accompanied Reb Shlomo in his live performances and/or recordings. Among them are Chaim Dovid, Ben Zion Solomon and Sons [the Moshav Band, Soulfarm] and Yehuda Katz, who began his own ensemble, Reva L’Sheva. A group of Israeli musicians is building bridges from North America to Israel, spreading awareness about Israel through art and music. They hope those bridges will bring Jews home to the Holy Land. 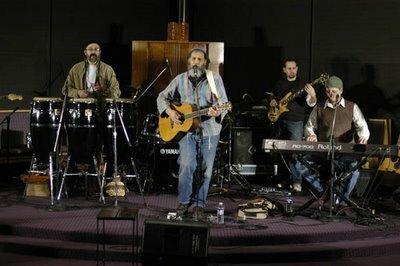 Reva L’Sheva lead singer and Jewish soul-rock pioneer Yehuda Katz has developed an innovative educational project which uses music and the arts to promote a stronger connection to Israel among American Jews and help Israeli youth develop their Jewish identities. Katz, along with a group of musicians and artists who immigrated to Israel from North America, conceived of Artists and Musicians for Israel (AMI) when the experience of concert touring left them and their audiences craving something more. Sunday night and Monday, the 10th of Iyar, is the yahrzeit of the first Rebbe of Tolna, the world-renowned Reb Dovid'l (1808-1882). He was born in the year 1808 in the Ukranian town of Chernobyl, where his father, Rebbe Mordechai was the rebbe. Rebbe Mordechai's father, Rebbe Menachem Nachum - the Maggid of Chernobyl, disciple of the Baal Shem Tov and towering figure in the galaxy of Chassidic masters gathered around the Baal Shem Tov's successor, the Maggid of Mezritch. Rebbe Mordechai had eight sons, all of whom became Rebbes in different towns throughout the Ukraine. Rebbe David was married at the age of 13 to the granddaughter of another famous Rebbe, the Rebbe Reb Zusia of Anipol. After his father died, Rebbe David moved to the town Vusylkuv where he was appointed as Rebbe. The town was filled with Chassidim of his father, and when they heard that other sons had become Rebbes in different towns, they too wanted a son of their previous Rebbe to lead them. He lived in Vusylkuv for about 15 years, where he wrote his three sefarim, Magen David, Birchas David and Kehillas David. 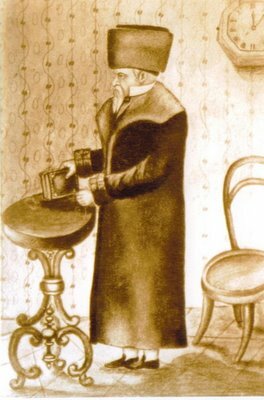 Around 1885 Rebbe David became the first Rebbe of the town of Tolna in the Kiev district of Ukraine. In Tolna, he found the authorities more disposed to the Jews. Thousands of Chassidim adhered to Rebbe David, and the town of Tolna soon became one of the largest Chassidic centers in the Ukraine. 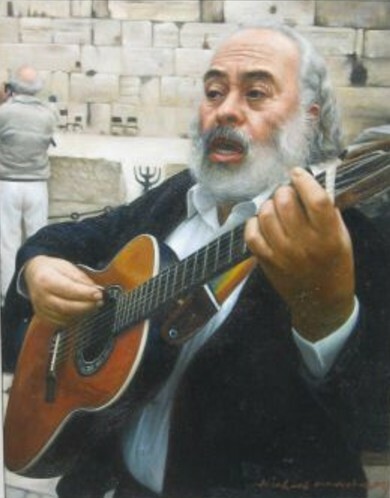 The Rebbe of Tolna was very fond of music, and the most renowned cantors visited his court. The famous cantor, Nisi Belzer, occasionally led the services in Tolna. In Nisi Belzer’s choir was a young boy, Meir, who had been orphaned from his father, a devoted Chassid of the Rebbe of Tolna, at an early age. Meir was very musical and had an unusually sweet voice, and Nisi relied on him for major solo renditions. However, Meir had a wild streak, and being without a father to discipline him, often behaved mischievously. One Rosh Hashana, when Nisi signaled Meir to begin a solo, Meir purposely sang a totally different portion of the liturgy. Nisi became angry, but to everyone’s surprise, the Rebbe signaled Meir to repeat the solo, and the Rebbe wept during his singing. Nisi could not contain the boisterous youngster, who gradually drifted away from Torah observance, and entered a conservatory of music. He became an outstanding opera star, and eventually married a non-Jewish woman. After many years of success under the bright lights, Meir’s fortunes declined. His wife left him, he became depressed, and his once dulcet voice lost its character. He was about to be released from the operatic group when he asked for one more chance to redeem himself at a concert. He strode onto the stage, and suddenly began singing the liturgy of his youth, the very solo the Rebbe had asked him to repeat. The orchestra stopped playing and the curtain was promptly lowered, and Meir was shown the exit door. Meir began singing the liturgy which the Rebbe had asked him to repeat many years earlier, and both Meir and the Rebbe wept with the rendition. Only afterwards did a few of the older Chassidim recall the incident with the young choir boy, and realized that the Rebbe’s words, “May this song be your salvation,” were prophetic. Meir remained in Tolna and became a sincere baal teshuva. Shortly after that, he died, and the Rebbe of Tolna personally assumed the responsibility of saying Kaddish for him. My heartfelt thanks to my good friend Shlomo of Bnei Brak for these pictures. Shlomo's daughter Rivka is a talented artist whose work can be seen at this website.